When you have patients with multiple chronic diseases, effective management becomes an ongoing concern. Not only do providers want to deliver the best care possible to these patients, but they also want to find ways to bring about better patient outcomes. One method of doing this is through the chronic condition tailored education plans that is provided by a care coordinator when delivering chronic care management (CCM) services. When patients have multiple chronic conditions, there is often a lot of confusion both about the conditions themselves and the treatment for those illnesses. Multiple specialists who do their best to explain complicated matters in a short period of time sometimes don’t get the message across in just an office visit. 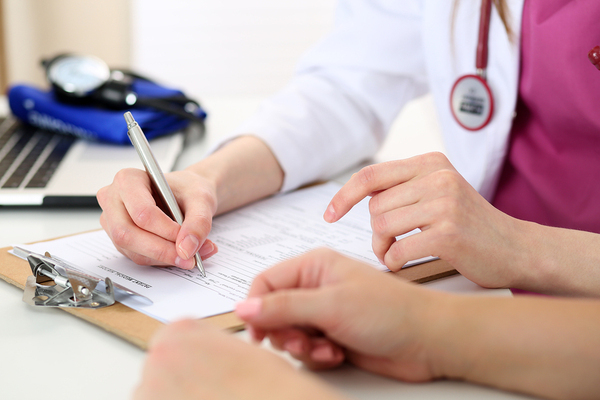 When a care coordinator delivers chronic care management (CCM) services, they are provided with the opportunity to convey additional preventative and educational materials to patients. This service has several valuable benefits. When patients have better education about their disease and its treatments, they are more likely to comply with treatment regimens, including taking prescribed medication. One study found that 50 percent of patients with chronic diseases had poor outcomes because they were non-compliant with medication regimens. That same study showed that patient education was able to increase medication compliance, with 67 percent of patients still compliant after six months. Another study on tailored education with asthma patients showed dramatic increases in health literacy and medication compliance after proper patient instruction. Patient education has been shown to affect both medication compliance and morbidity rates. Educating patients about their disease, their treatment, and particularly the medications that they need to take has been shown to result in lower mortality rates. This is particularly the case with cardiac patients who are given tailored education about coronary heart disease, prevention measures, and treatment. A study on patient education with cardiac patients showed a measurable impact on such things as blood pressure, diet, exercise, and mortality. It should come as no surprise that patients who don’t understand what is wrong with them and those who have long lists of unanswered questions are going to be unhappy with their level of care. While it may not be the fault of the specialist or the primary care provider, the patient will blame the physician when they are confused. When patients are given tailored educational materials about their disease and the answers to their questions, they breathe a sigh of relief. The patient is being empowered to take part in their own treatment and is provided with clear directions to do this. In the end, this creates greater patient satisfaction.